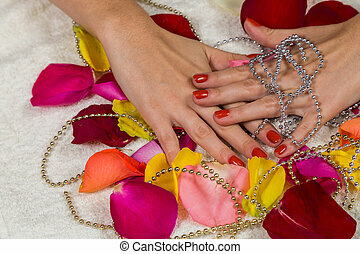 Beautiful manicure. 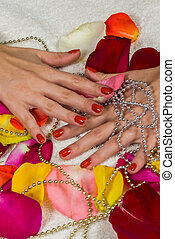 Professional manicure. 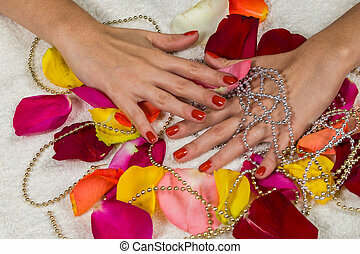 Beautiful women's hands on the petals of flowers.